Several of my favourite plants are now in flower (they become my favourites when plants flower, then drop off the list after) just as the weather has taken a turn for the worse. 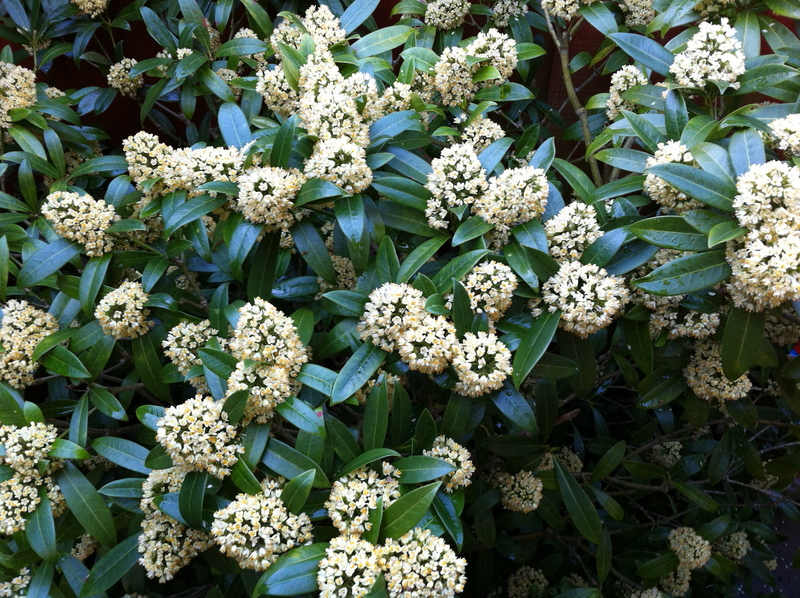 One of these is the Skimmia Japonica that is filling a corner of the garden with its incredibly sweet heady perfume. I’ve written about this plant a couple of times before yet I still can’t get over how amazing this shrub smells. I want more of this plant so I need to learn how to propagate it (I’ll also probably buy another from the Garden Centre). Being woody and evergreen it doesn’t lend itself very well to soft stem cuttings so I will have to look at semi-ripe or hardwood cuttings or layering, none of which I have done before.